Travel increases the risk of hypoglycemia, especially if many time zones are crossed. Long-haul travel can also cause dehydration which can increase the potential for high blood sugar levels and possibly diabetic ketoacidosis. Here we provide guidelines for insulin users to discuss with their diabetes team. These are simple rules for individuals planning to travel across 5 or more time zones and who are using once or twice a day long-acting background (basal) insulin. As explained below, the adjustments you make will depend on the direction of travel. Travel dose = usual dose x (0.9 — number of time zones you are crossing ÷ by 24). As seen in the following example, don’t forget to divide the number of time zones by 24 before subtracting that number from 0.9. Please note these are guideline and the exact changes should always be discussed with your diabetes team. For rapid acting insulin to cover food, give insulin with carbohydrate-containing meals—no matter the time zone or whether given by syringe, pen or insulin pump. For insulin pump users we recommend staying on the departure time until arrival at the destination and then simply changing the clock on the insulin pump to the new time on arrival. If you use twice-daily pre-mixed insulin then take your usual insulin before departure at the normal time. Ask your diabetes team to give you an insulin pen with rapid-acting insulin. This type of insulin lasts 4-6 hours. Check your blood glucose every 4-6 hours. If it rises too high, give yourself a small amount of this rapid-acting insulin every 4-6 hours (preferably with a meal) until it is time for your usual second injection of pre-mixed insulin in the new time zone after arrival. The key is to check your blood glucose levels frequently. Sometimes it is better to move to a different insulin regimen before departure – always discuss with your diabetes team well in advance! 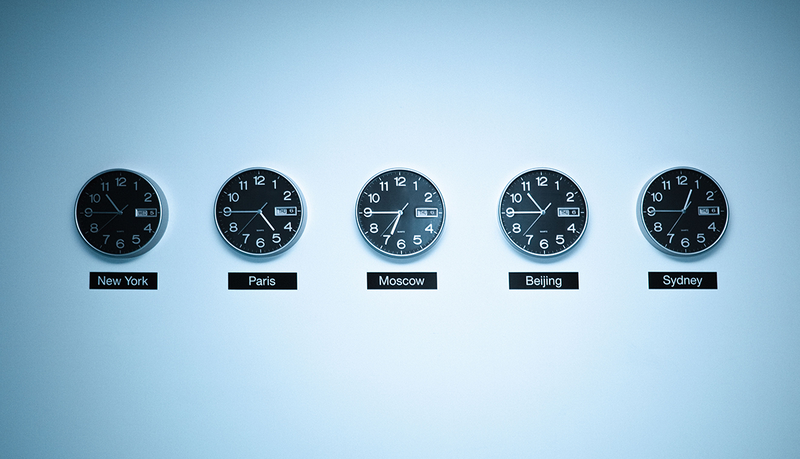 Jet lag and travel fatigue are real issues that can be more intense the more time zones that are crossed. It is important to understand that these conditions can cause poor judgment, and therefore should be carefully attended to so as to avoid a dangerous medical mistake. The effects of travel fatigue can be minimized through booking flights that require minimal disruption of pre-established sleep patterns. Getting plenty of rest leading up to a trip can also facilitate a smooth transition to a different time zone. Stay hydrated during the trip, but remember that coffee and caffeinated products should be avoided later in the day—they will keep you up! If you are traveling westwards, get as much daylight in the evening as possible. If traveling eastward, maximize daylight exposure in the mornings to help the transition. A short-acting sleeping pill or a low dose of melatonin can also be useful to fall asleep or stay asleep when in a new location. Keep these tips in mind and talk to your team of healthcare professionals to learn more about how you can ensure a safe acclimation to time zones around the world!